Meet our recommended suppliers such as wedding cars/chauffeurs, photographers, flowers and so much more. You will also have the chance to view our venue & suites and discuss availability with our Wedding Coordinator. Enjoy a welcoming glass of bubbly on arrival and chefs choice of canapés.  As well as our dedicated wedding coordinators on hand to meet with you and offer advice and assistance for your own big day, you will have the chance to meet with the some of the wedding industry’s leading suppliers.